Product #5396 | SKU A12 | 0.0 (no ratings yet) Thanks for your rating! 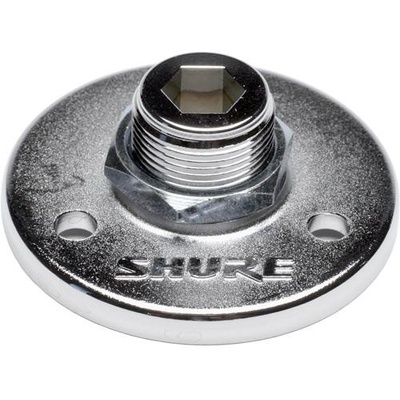 The Shure A12 is a microphone stand, mounting flange designed for flush-mounting into desktops, podiums, etc. The A12 features a 5/8"-27 threaded fitting for compatible goosenecks, microphone mounting shafts, etc. Product colour may vary from image.